Michigan forced out Dave Brandon and will begin looking for a new Athletic Director. Expect Brad Bates to get mentioned as a candidate over and over and over again. At this point it is all speculation and there is nothing BC can or should do. We don't need to overpay to keep him. We cannot get into a bidding war with Michigan. If they want him and he wants the job, more power to both. It only becomes interesting from a BC perspective if he leaves. If that happens, look for our AD search to be very different from the last one. Only someone in CFB would think a politician could be qualified to be President but not qualified to pick the nation's four best teams. Definition of student-athlete: Pre-med major & @theACCfootball Player of the Week Kevin Kavalec; The doctor ordered 10 tackles, 2 sacks. 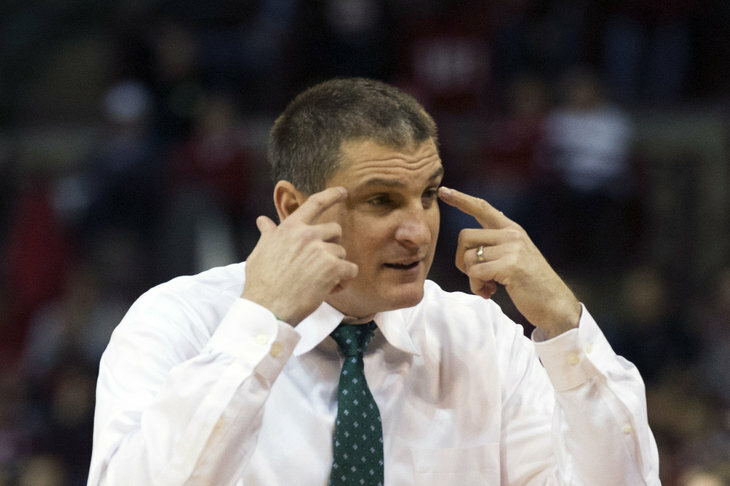 Boston College stopped recruiting Aaron Falzon in order to focus on getting Josh Sharma and Markis McDuffie. Both have committed elsewhere. After a series of afternoon and evening games, it is back to an early start. For those out west, enjoy your breakfast with fellow BC fans at one of the Game Watches. If your Chapter's Watch is not listed, post it in the comments section. I don't know how a road game as an underdog can feel like a trap game, but this matchup sort of does. All the experts are picking us. The Hokies are struggling. Teams have run all over them and here we come with the best running QB in college football. What's not to like? I think we will win, but I hope the team isn't taking anything for granted. What's on my mind (not totally related to this game) I think how a team performs relative to their expectations means more in college football than any other major sport. At least it does for me personally. The College Football Playoff Committee released their first poll this week and I hardly cared. My team wasn't going to be involved and couldn't be even if we ran the table. However, that doesn't mean I am not enjoying this season and not looking forward to this game. I knew BC wasn't going to be a contender this year. But this team is entertaining and fun to root for and it feels like we are building towards something. 1. Get Alston the ball in space. Did you see what Duke Johnson did last week? Although smaller, Alston has that same sort of allusiveness and can also make guys miss. This is not a great VT Defense. Our best should be able to make a few of their guys miss. 2. Collapse the pocket. Brewer is quick to throw the ball away if he is under pressure. 3. Stick with the run. Stopping the run will be a point of emphasis for them. We need to be patient and keep trying. Henning and Jags both won on their first visits to Lane Stadium. Neither coach had a second visit while with BC. The big game is actually Thursday night: Florida State vs. Louisville. Selfishly I am rooting for the Seminoles. I want BC to be the team that beats them and ends their streak. BC have a healthy lead in the 4th quarter. Addazio talks a lot about winning the 4th quarter, but statistically that is not a great strategy. Winning the 1st quarter leads to a better win probability. Obviously we want to win every quarter but playing to keep it close late invites games to slip through your fingers. Let's put people away and avoid another near meltdown. We turn the ball over. I think Beamer Ball is mostly dead, but that doesn't mean that a costly turnover won't help VT. Think back to Willis' fumble on the kick return last week. We are lucky that didn't cost BC the game. I don't think Bud Foster respects our passing game. I expect him to crowd the box and just try to stuff our run. I am fine with that. I don't mind a sluggish game. I think putting such an emphasis at the line will either open up a passing play or two, or lead to a few long runs when someone misses a tackle. It will be low-scoring but Murphy makes enough big plays for BC to win. -- The new staff really like Magarity. His size will be an asset and he won't just be a offense only-euro style big man. -- Of all the wings that carried over from Donahue, Jackson will probably get the most minutes. He bought in early and is also playing good defense. -- Garland Owens will also get a lot of time at the wing. His defense alone makes him an asset among the crowded bench. -- I don't know where the minutes for Heckmann and Dragicevich. Defense matters now. The transfers are not superstars but they will play. Buying in matters. For holdovers like Heckmann and Drago, you hope they impress early in the season, because when the rotation gets tighter, they might be out. -- Even without his injury Hicks was unlikely to be a major contributor. -- Everyone loves Clifford. The new staff is salivating and consider him healthy. Keep your fingers crossed. If he plays, this team will be very competitive in ACC play. -- Diallo is raw, but has a good future. -- Odio can be a defensive asset. However, his minutes really depend on the other bigs and who is healthy. 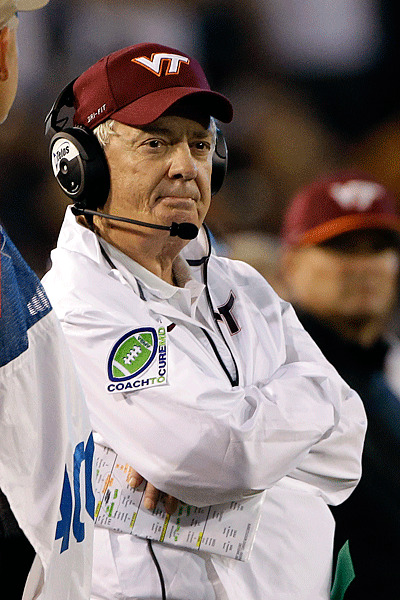 Despite his legendary status in Blacksburg there is a sense of unease among Hokie fans about Frank Beamer. The similarities between Beamer and other coaches who outstayed their welcome (Bowden and Paterno) are obvious: declining wins, putting his son in an important position, a more hands-off approach to recruiting. Now there is fear about even getting bowl eligible. BC cannot keep the Hokies out of the postseason single-handedly but getting a win this weekend is critical. First it helps our season and bowl eligibility. Second it might speed up the Hokies' decline. BC knows what it is like to take advantage of a declining coach. We were 2-0 against Penn State in the aughts. We were 3-1 against Bobby Bowden as a member of the ACC. Beamer is only 68 so it may be premature to call for his retirement, but Bowden and Paterno both proved that it is hard to maintain consistent greatness as a coach ages. Even if the product on the field is not what is once was, the name on the uniform and the coach on the sidelines still matters. BC plays Virginia Tech annually and winning at VT still generates respect among recruits and the media. Let their decline fuel our rise. VT has some solid building blocks for greatness -- good facilities and fanbase, a great recruiting territory in the Tidewater area, and friendly admissions policies. What Beamer did can be duplicated. However, we don't know when they change will come. For now, let's take advantage of every game we play against them. That sort of killer instinct has been lacking from our program for a long time. Putting VT away would be a good example to show that things are different with Addazio. My head keeps telling me to be patient with Jim Christian’s recruiting. My heart is wondering what’s going on. This weekend another major target -- Markis McDuffie -- committed to Wichita State. It is not that McDuffie is some sort of program changing talent. It is also normal to lose out on a primary target. The problem is that Christian missed out on so many of his targets and let other seemingly interested targets fade away. As much as I question the process, it is only fair to remind myself (and everyone else) that Christian has yet to coach a game at BC. As disastrous as the recruiting seems, how the team performs on the court trumps everything. The product on the court will also give an immediate boost to recruiting. Proving he can coach and win in the ACC will open doors more than showing up at a bunch of high school gyms. When he was hired I predicted Christian would be ok but not a BC lifer. I hope I'm right, but I also hope that he leaves BC better than he found it. To do that, he's got to make sure the 2016 recruiting process goes better than this haphazard cycle. The Louisville game will be a 7:15 kickoff on ESPN2. If we win this weekend, a primetime showcase against the Cardinals is the type of game that might get us ranked. For the second time in two weeks, Hockey East named Adam Gilmour its Player of the Week. The ACC named Kevin Kavalec its Defensive Lineman of the Week. Hanover product Monte Graham committed to BC Hockey over the weekend. Two future Eagles Davon Jones and Chris Lindstrom are having a strong senior seasons. Watching live I felt that the first half was great and the second half was equally terrible. That wasn't really the case. When the fear and emotions of the live broadcast are gone, you realize that a few executions issues, some borderline penalties and a bad fumble, ratcheted up the anxiety. But BC survived and won. Call it ugly. Call it unlucky. At least it was a win. Murphy played well. It was one of his better days passing. There weren't as many errant throws and he made good decisions on his progressions. There were some open guys on broken plays, but once a play breaksdown, I think Murphy is running all the way. Given his skills that is not a bad plan. His runs weren't as explosive but they were still productive. Hilliman's TD was great. It showed his power, speed and ability to make people miss. He ran pretty well and did a good job waiting for holes to open. Willis didn't get as many touches but looked good when he caught the ball as a safety valve. Who knew Dudeck would have the best hands on the team? He did a good job getting open and holding on to the passes. It was nice to see Phillips finally get a big play (and hold on). Crimmins had a nice catch late. Alston only caught one pass and only had a few runs. I would like to see him targeted more in passing since everyone is focused on him during the jet sweeps. The Offensive Line played well. We used a lot of pulling and power and the different pulling combos looked good. There weren't any big issues or breakdowns. Murphy mostly had time. They controlled the line. When Wake stopped the run it was more on the edges or just jamming the middle for short gain. Gallik looked good and Silberman keeps getting better. As much as a I don't want Murphy to pass, the passing scheme is getting much better. We're more efficient and getting more big plays from it. In the second half when we needed an answer, we just picked them apart downfield. The other drives really died from penalties and Wake keying on the run. I thought Day called a good game and had a good plan. The DLine did well early but had issues in the second half getting to the QB. Wujciak had a few nice tackles. Kavalec was productive. Gutapfel also looked good. It wasn't the best game for the LBs. They missed a few tackles and didn't have great coverage. Keyes was fine but didn't get as much pressure as last week. Daniels was productive but not dominant. Strizak was fine. Simmons play was huge. It ended the game and was in tight coverage. Sylvia played a lot in nickel and looked good. Brown made some plays early but then got beat over the middle later. Asprilla played well. Williams was good. Early in the 3rd quarter Wake converted their first 3rd down. It was on a blitz. I don't know if that forced Brown to adjust or if he just felt like playing it safe, but we weren't as aggressive from that point out. We rarely used the amoeba. Instead it was a lot of 3-3-5. Wofford adjusted. I don't want to keep pointing the finger at Brown for the second half issues, but it is frustrating when BC cannot get off the field. In the end we held them to 17 and seven of those points were off a really short field via fumble. The D's scheme was solid. The second half was more a matter of easing off and waiting for them to eat clock and make mistakes. Which Wake did. I love Myles Willis and love his aggressiveness. However, that fumble was terrible. He needs to protect the ball better in situations likes that. Alston only had one return of note. Howell's mistakes didn't cost us but they certainly added to the tension. The missed PAT was terrible. You've got to get more height on it. The final punt was a useless touchback. Howell's field goal was fine. It is hard to be overly critical of Addazio's performance Saturday. You can question the coordinators, but the idea of the second half -- avoid quick scores on D and eat some clock on O -- is sound. The execution was a different issue. He made a nice call on the timeout when we only had 10 guys on the field for the punt. He also didn't seem to panic when we needed a stop. If we fix the Special Teams, this game wouldn't have been nearly as close. Week to week I start to drink the Daz Koolaid even more. He's over the top, but the guys seem to buy in and we have yet to see Daz's emotions overtake his game management. The game could have slipped away, but it didn't. That's because of solid coaching. My biggest issue during the end of the Spaz era was that I didn't feel anything. I was so resigned to losing that I was rarely nervous, rarely excited and generally bored. During the USC win, I finally felt those butterflies of excitement again about BC Football. It was nice to have that old familiar feeling again. Saturday an unwelcome old feeling returned. It was the pit in my stomach feeling. The is this really happening feeling. I thought we were going to blow it. Fortunately Justin Simmons picked off Wofford and BC successfully killed clock to hold on for the win at Wake. The first half was probably the best 30 minutes of BC Football this season. The second half was almost as bad. The Defense just couldn't get off the field and the offense went cold. I was sure the missed PAT was going to cost us the game. I am relieved it is over and relieved BC won. Despite the drama, the win still means a lot. We are one step closer to the postseason and now back to .500 in conference play. Another road game and another chance to bounce back. Let's hope BC comes out firing. Leave your thoughts and comments below. I've been watching the loss to Clemson back in pieces as I could this week. I finally wrapped it up Friday. Obviously I knew the outcome, but that didn't make it any less painful. We could have had that game. As Addazio and everyone else pointed out, two or three more plays and BC wins. My biggest takeaway though is that we went the wrong way on offense. We passed -- because the guys were open -- and it hurt us. And I am not talking about the drops. None of our primary targets can make anyone miss. Callinan and Crimmins had great downfield catches but are limited. They are not turning those catches into scores. They are not making multiple people miss. Murphy makes people miss. An explosive play from him is much more likely to score. Late in the game when he finally kept it, he was gashing Clemson. We should be doing that more! Even against eight-man fronts. As daunting as the crowded box is, all it takes is one guy to miss and Murphy is off. Do you expect that same sort of scoring from any of our WRs? Although they gave up a late score off of bad tackling, I thought the D played better. The front four probably had their best game. The DBs were better too. This was a tough loss, but very encouraging. One and a half seasons in and the evidence is mounting that BC is well coached. If we increase the talent level, there is no reason to think we won't be competing in the division quickly. It's going to be really tough for Steve Addazio to sleep tonight. BC left about 21 points out on field vs Clemson. BC is a heavy favorite, but you're still nervous. You know who would understand how you feel? Other BC fans! Join them at a regional game watch. List your chapter's watch in the comments section, if it is not listed. Time for another rebound. My pipedream of us making a run at the Division is probably over, but there is still much on the line. BC needs this game to get closer to bowl eligibility and to keep momentum going into the tougher second half of the season. BC also needs to prove that we have a killer instinct. Wake is struggling right now and leaning on a freshman QB coming back from injury. We need to put them away early and not let another game come down to the wire. You don't always need a long history or bad blood to make a series interesting. Think back to the Wake games when we first started playing them. They were close, memorable and once we were in the same conference, important for both teams. As both declined the past few years, the games lost much of their juice. I hope that Clawson gets the Deacons back to consistently winning. I don't think Wake-BC will ever be Ohio State-Michigan or even BC-Syracuse or BC-Notre Dame, but it was fun having competitive, relevant games against them for a few years. 1. Murphy needs to rush for more than 100 yards. It can't get more simple than that. I want him to pass. I want the other players to step up. But the reality is that he is our best playmaker and our best player. Just like Andre Williams last year, if he gets going, everything else opens up. Clemson did a good job on him, but we also got away designed runs a bit. Don't overthink things this week. 2. Bring Wolford down. He's not afraid to get out of the pocket and try to make a play. Wrapping him up will be important. 3. No drops. They are drive killers. BB&T Field is the smallest stadium in the ACC at 31,500. Syracuse at Clemson will be a good indicator of what we can expect from the Orange. It wouldn't be a bad thing to see the Tigers stomp them. I want their season to be over and their players checked out by the time they get to Chestnut Hill. One game where the placekicking is not an issue. It wasn't the only reason we lost, but missing the extra point last week did impact the play calling late in the game. We cannot establish the run. The Deacons have a decent pass defense. If we cannot grind it out on the ground, I worry about trying to win it in the air. Wake is not a good team. They barely beat Army and haven't been competitive in most of their ACC games. My only real fear is facing them on the road. But I think like our last road game in North Carolina, BC will put a huge emphasis on running and overpower them. I think we control the clock and the ball and win comfortably. Despite being located in a talent rich region, in the last 25 years much of BC's basketball success was on the backs of outsiders. The last great Massachusetts player to carry a team was Sconnie Penn and he didn't even finish his career at BC. Blame the AAU leaders. Blame the BC Admissions office. Point to Skinner or Donahue or now Christian. While we have landed some kids via New England prep schools (Smith, Hanlan), they are unfortunately the outliers and not the norm. That was supposed to change this year. This was going to be the best group of Massachusetts and New England recruits in years. Donahue was building towards this class (supposedly) and Christian hired New England recruiters in order to close on the local kids. It didn't happen. The last hope for a star player -- Josh Sharma -- committed to Stanford Wednesday. Recruiting is not over and Christian has yet to coach a game at BC, so I will continue to preach patience. We don't need to own New England to be great, but it would be nice. BC shouldn't have to look for hidden gems in California or hope to find a few overlooked transfers. The foundation for a great program is within a three hour drive of campus. Maybe Christian can get next year's locals. But for now another group of Massachusetts stars are headed elsewhere. As we know, during any coaching search, plenty of gossip and flatout BS rises to the surfaces. When BC went looking to replace TOB in 2006 many coaches were linked to the job. Some were real discussions and some were nonsense. The one candidate that BC fans rarely harp on is Dave Clawson. The new Wake coach was floated as a possibility and was probably much closer to being hired than any of us ever imagined. In the closed-knit community of college football, it is important to pick your mentors well. As a rising assistant coach at Villanova, Clawson struck up a friendship with Gene DeFilippo, the Wildcats AD. I don't know what the connection was, but it lasted as Clawson worked his way up the ladder. His first success was reviviing Fordham's moribund football program. From there he jumped to the higher profile Richmond job. It was at Richmond that Gene and Clawson's history would become a factor in both men's future. 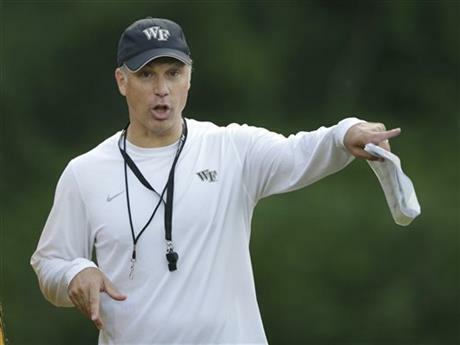 After three seasons at Richmond, Clawson had the team turned around, but he wasn't on any national radar until he landed an interview for the open BC job. His candidacy caught people by surprise but could be rationalized by the head coaching success and his history with Catholic schools. BC went in a different direction and hired another guy who Gene had mentored in Jags, but the process clearly influenced Gene and Clawson. Gene liked what he saw in Clawson and if not for his lack of experience with BCS-level programs might have gone to bat for him. Clawson clearly appreciated the professional rub he got from being interviewed because the next jump in his career came via GDF. After missing out on the BC job, Clawson produced another very strong season in Richmond. Yet no big jobs came calling this time around. Maybe too many big programs viewed him as a FCS lifer. The only way to change that was to prove himself at thet next level as a recruiter and coordinator. At the same time, that Clawson was looking to add a different type of experience, Gene's old friend Phil Fulmer was looking for a new Offensive Coordinator. Gene played matchmaker and now his protege would have SEC experience to round out his resume. But his time in Knoxville was a disaster. The offense sputtered and Fulmer was fired. Meanwhile the team he built in Richmond went on to win the National Championship. Instead of being mentioned for ACC level head coaching jobs, Clawson was now looking for any job. He got one as the Head Coach at Bowling Green. It wasn't a career dead-end, but he wasn't considered for the BC job when Gene had an opening a few weeks later and he wasn't on the fast track to a big job like Mike London (the guy who won at Richmond with Clawson's recruits). A good coach survives though and after five years Clawson had Bowling Green turned around and impressed enough people to land the Wake job. If anything he could point to his track record as a rebuilder as a reason he got the Wake job. I don't know if Clawson regrets his stop in Tennessee or thinks about what he could have done at BC with our 2007 talent. I am sure Gene is proud of him and proud of whatever influence he had on Clawson's career. Who knows? If Gene had hired Clawson instead of two other friends of his (Jags and Spaz), Gene might still be the AD at BC. Clawson won't be the only "what if" of the day. Wake will start John Wolford at QB. He's Bobby's brother and many -- including thsi blogger -- suspected he would be at BC one day. However, he never really fit into Daz's plans. Despite some losing and a recent head injury, the younger Wolford seems to be doing well in Winston-Salem. I wanted to take a moment to thank my friend Will Beekman for filling in on the blog this weekend and on Monday. As I mentioned, I was busy with a wedding, the associated travel and then catching up with real life. I will still post my thoughts on the Clemson loss whenever I can fit it in and basically have the blog back on a normal schedule as we get ready for Wake. But I do take your continued support seriously and that's why when I cannot blog, I want to leave it in good hands with someone like Will. He's a good guy and like all of us cares a lot about BC and BC sports. Earlier today the ACC announced the Virginia Tech game will be a 12:30PM kickoff. TV coverage will be a "split network" with the UNC/Miami game which means check your local listings in the week leading up to the game, especially if you don't live in the New England market. Over the weekend, the men's hockey team picked up their first victory of the young season with a 6-2 win at RIT. The Portland Press Herald had a nice write-up on Quinton Porter yesterday. Nice to read up on what he's been up to since his days at BC. Just a few quick thoughts about the game. More will be posted later on. There were so many missed opportunities that could have swung the game in BC's direction. This article touches on a few of them, but the Bordner drop, the under-thrown pass off the reverse, and the Rouse drop are the top 3 in my mind. Of course we all want to see BC make PATs, but those others hurt more. When you play very good teams (and Clemson is one of them), you have to take advantage of the opportunities you create for yourself. If BC had executed on any one of those three plays, we would have had a much better chance of winning. If we had hit two of them, the chances of winning would have jumped exponentially. It's nice to see Clemson travel in such strong numbers, but Alumni was embarrassingly filled with orange yesterday. There were giant blocks of the upper sideline section closer to the reservoir filled with Clemson fans. I think it may have been the loudest & largest Clemson fan base I've seen at Alumni. Clemson fans are incredibly friendly, and it's great to see them come to Boston in the numbers that they do, but it'd be really nice to see much more maroon and gold than orange in the upper sections at kickoff. Overall the defense played well, and it's hard to be critical of a group that allowed just 17 points, but we gave up too many 3rd down conversions. Case in point - the series when BC had Clemson starting on their own 9. After 2 plays netting negative one yard, Clemson had a 3rd and 11. They ran for 13 and got to their 21. BC held the next 2 downs, and on 3rd and 4 Clemson gained 16 to their 43. BC stopped Clemson on the next set of downs, and they ended up punting....which BC received on their own 6. To recap - that was a drive that started on Clemson's 9, and BC gave up two big plays on 3rd down which allowed Clemson to get to a place to pin BC within our 10. It completely shifted the field position game and put a lot of pressure on the offense to move the ball. BC's offense (understandably) didn't put up the big numbers like in other games this season, but it was nice to see Day & crew keep installing new looks/formations/plays. The Bordner pass off the reverse was one, but the Sherman Alston TD reception was another - lining him up in the backfield, pulling a guard to make it look like a run....nice to see new wrinkles develop in our offensive attack each week. Steven Daniels is coming on strong. He had a good game stopping the run and lead BC with 11 tackles. Murphy's 43-yard run with the game on the line was something special. I didn't get to see any of the game (family weddings take precedence over good blogging). From following a bit online I gather BC had some moments but didn't do enough. Like all losses it is now about regrouping. I will have more comments later and an update Sunday. Most of the BC-Clemson games have been exciting. Let's hope this one is too. Leave your thoughts and comments during the game. Brian Kelly asked his memories of '93 FSU game. "I have no recollection … was it a good game? … Did we win? (Yes.) OK I like it already." Game Watches are going global with London hosting one this week. I don't know if it is the Clemson matchup or renewed enthusiasm, but there are more clubs hosting this week. If your club is hosting a Watch, be sure to post it in the comment section. Think back to our first few years in the ACC. Every team was in it because no team was great. It all really came down to who played well within the division. That’s how Wake won. That’s how BC won during the two Jags years. Now -- with another Jameis Winston suspension looming -- it seems like the Division might be up for grabs again. BC remains a long shot, but there is no reason we cannot make a run. Our one ACC loss was out of the Division. If we play well, we can beat anyone left on our schedule. Of course to do that, we have to start by upsetting a vulnerable Clemson team this week. I ran into a Clemson fan this morning...in Nantucket. I'm here for a wedding and he was here as part of his trip to see the game Saturday. He couldn't have been nicer and talked about how much he loves coming up to New England for the game and thinks we have a good team, etc. I know much has been written about the Clemson fan culture and their hospitality, but all the cliches and stereotypes are true. It is really hard to hate them when they are being so nice and courteous all the time. 1. Murphy rushing for more than 100 yard. Last week proved it is just that simple. He's our best player and our best chance to make a big play. We need him running at least 12 times and we need him to break some big plays. 2. Better Kickoff Coverage. We cannot give them shortfields. I am fine with the deep squibs. But the guys have to do a better job tackling. 3. Great blocking. As I wrote earlier in the week, Addazio is worried about Clemson's DLine. We need to control the line and avoid mistakes. If Murphy doesn't have time, we are not winning. Since we don't play Notre Dame annually anymore, the O'Rourke–McFadden Trophy is the only annual trophy tied to a BC game. Clemson is 5-1 in the series since the Trophy debuted. An undefeated Notre Dame is traveling to Tallahassee to play undefeated Florida State. The only thing that is missing is the Irish taking on BC the next week. I am not one of those BC fans who lives for the Notre Dame rivalry, but I never minded bursting their bubble the week after big Florida State wins. BC connect on some deep balls. The bomb to Amidon last year was a thing of beauty. But it was also a good call because Clemson kept cheating up to stop the run. Murphy has yet to show he can throw a deep go as well as Rettig, but the play will be there. We don’t get to Stoudt. When Brissett had time last week, he picked our secondary apart. Once we got pressure on him, NC State's offense went stagnant. If Stoudt has time, he can make the throws and Clemson still has plenty of playmakers. I see this as the game as the perfect storm for us. It is at home. We are riding high after last week and seemingly have most of our issues worked out. Clemson is trotting out their former starting QB after their dynamic freshman QB got hurt. I don’t think this will be easy, but I still think we can bring enough pressure to slow them in the redzone and we get a few scores on some big runs from Murphy. Brian Mihalik was named Defensive Lineman of the Week and Josh Keyes received the Co-Linebacker of the Week award from the ACC. Both had big games on Saturday. Keyes notched double-digit tackles for the first time in his career. We will need that continued effort on Saturday to stop Clemson. Keyes and Hayley Dowd were named Eagles of the Week by BC. Eric Hoffses has been providing some information about the basketball team's practices including a glimpse of how Dennis Clifford looks on the court. All reports are that practices are intense and that Christian is working the team hard. This Q&A with Patrick Heckmann touches a little on that and on his efforts to improve his defensive game this year. Coach York has received a pledge from a class of 2018 recruit, TJ Walsh. A lot can happen between now and 2018, but it's good to see that a strong recruiting pipeline is being built into the future. How good is Clemson's Defense? After touching on BC's win, Addazio quickly turned his Monday press conference to Clemson and their Defense. He seems legitimately scared of the Tigers. This wasn't fluffy coach talk, Addazio is comparing them to the 2009 Alabama team he faced at Florida. Addazio is always respectful of our upcoming opponents but this was over the top for him. It got me thinking, if he is this worried, should we all be worried? After looking at the stats, I don't know what he's seeing. I do think Clemson is talented and will give us trouble, but the numbers don't back up Addazio's fears. The Tigers are a middle of the pack defense so far. Their 7th in the ACC in scoring per game and 3rd in yards per game (just slightly ahead of BC). Georgia scored 45 on them and UNC score 35. They held Florida State to 23 points, but that was without Winston. Will they put pressure on BC? Sure. Do they have playmakers? Of course. Is Venables a good coordinator? Yes, but we knew that last year. They contained our main threat in Williams, but Willis and Amidon exploited them for big TDs. This year we have more weapons and are not as one dimensional. Scoring won't be easy, but we have plenty of guys who can break a big play. Addazio knows more about his team and more about Clemson than I do. Maybe he's right. I just hope we are giving the Clemson coaches the same sort of worries they are giving us. Grantland posted a great tribute to Bob Ryan last week that is well worth the read. I know many BC fans dislike Ryan, but he was great to me as a student and supported this blog in the early days. Anyone who likes sports and likes the passion and the arguments and being an advocate, should appreciate what Ryan did and how he changed the dialogue. The article doesn't focus on his time at BC, but Ryan has always kept BC close and mentioned how it helped shape his career. He's always been fun to read and fun to talk to, so I am glad he's getting his due. Every NCAA student athlete is eligible to play in four seasons. However, things are not always that cut and dry. When you start your playing time plays a role in the NCAA's eligibility clock. The varied transfer and graduation rules also apply and then there is the issue of injuries and redshirts. Every once in a while the NCAA will grant a sixth year of eligibility to a student athlete who faced a unique injury or extenuating circumstances. As anyone who followed the Ifeanyi Momah case knows, getting that 6th year is a total crapshoot. Now we have two more guys -- Bobby Swigert and Harris Williams -- looking at a potential 6th year request. Of the two, Swigert seems like the more likely guy to get a 6th year. In fact it is sort of implied in Addazio's update on Monday. To me, the "this season or next" means that BC knows Swigert will get a 6th year. Based on his numerous infections and setbacks, I could understand why. All the issues essentially relate back to the initial injury (one of the NCAA's loose criteria). I hope Bobby waits. We are not a pass heavy team this year, so I don't know if he would have much of an impact. Next year he could be featured from the beginning of the season and could potentially play in all 12 games. Harris Williams' case won't be rubber stamped by the NCAA. He only played one game this year, but he redshirted as a true freshman. Like Momah, the NCAA could very well rule that decision was elective. Even if BC comes up with something to explain that first redshirt, I don't know if the NCAA will care. Like Swigert, Williams might be even more valuable next year when so much of the line turnsover. We won't know anything officially until after the season is over. The best aspect of all of this is that both guys have their degrees and BC is playing well without them. Let's hope they play again though because both have earned a better ending than the one they've had. The game had a disjointed feel on TV and I sense many of you felt that way. In some markets it started late because of the Miami game. We all sat through the rain. Finally others got cut off by hockey starts. Watching the game back uninterrupted it was much more obvious how much BC controlled the game. Even the early scores weren't telling the whole story. BC moved the ball methodically where NC State kept drives alive off of broken plays and near misses. It was no wonder once things settled that we pulled away. The score could have been more lopsided if not for a few BC mistakes and going easy on them late. The USC game was certainly more exciting, but this might have been the better performance. Where would this team be without Murphy? He's probably our best runner (or at least the one who is able to make something out of nothing) and he made good throws and decisions in the passing game. I never felt he forced anything. I also only counted two zone reads where he handed off and could have run for daylight on his own. The fumbled exchange with Willis wasn't great but that was more due to a good play NC State made. Hilliman and Willis both got plenty of touches but neither had a perfect day. I liked Hilliman's toughness and willingness to fight and stiff arm for an extra yard. Now he just needs to make guys miss in traffic, so he can really break something. Willis is pressing. He took a big loss trying to make something out of nothing and the fumble was just a bad play all around. Wofford blocked well. I am glad we got Outlow the ball, but he needs some carries too. Bordner's drop didn't cost us the game but it was still a play he should have made. He looked okay on the other plays. His blocking was good, as always. Alston showed that he could do more than the jet sweep. Crimmins looked better. The Offensive line was nearly perfect. (I am pretty sure the breakdowns were by design, which I explain in the next paragraph.) Vardaro didn't show any rust. Silberman had one of his better games. Gallik was good. Betancourt was too. When your biggest problem with the offense is lack of a killer instinct, you don't have real problems. Every time we could have put this game away (like the end of the first half) or a few of the drives in the second half, we would screw up or stall out. While there is blame to share, I still want Day to make things a little more crisp in our two minute drills. Other than that, it was a good scheme. The shovel passes worked well, especially off of the option. We got Alston more involved and gave Murphy some more direct runs. NC State did blow up a few plays when we purposely left a DLineman unblocked, but I think we will adjust. At Oregon Chip Kelly would often leave a big man unblocked if he was away from the action, yet he got burned with it a few times. BC just needs to be more respectful in future scouting of DTs. Wujciak played well and really kept after Brissett. He hasn't shown that much of a motor so far this year. Mihalik played well too. Obviously the INT was big, but in general he was doing a good job putting pressure on and helping collapse the pocket. Gutapfel also played one of his better games. Kavalec didn't record a tackle officially but was still involved in many of the collapsed pockets. Keyes gets much of the media attention -- and played well Saturday -- but Daniels made some big plays too. When he's not asked to do too much in coverage he can be very good in stopping the run and getting to the QB. Both LBs were key in the pressure. Sometimes they came on delays. Sometimes on the edge. But it all worked. When we went with 3 LBs, Strizak also got some snaps (and some in place of Daniels) and looked good. Johnson made the most of his new position and playing time. He made some nice tackles and was good in coverage. Asprilla tackled well and nearly had an INT. Simmons was very active and played well. Sylvia totally missed on one of Brissett's scrambles. Moore was fine. Brown played a bit more and looked ok. I thought this was the best example of Brown adjusting in game. They moved the ball early by basically picking apart zones and overloading one side with three receivers to only watch one leak and find a soft spot. Our adjustment seemed to be to bring with just four guys by overloading one side or one gap. It worked for the most part and forced Brissett to start making bad throws and bad decisions. I don't know if the coverage improved (it probably didn't) but the pressure increased enough that it didn't matter. That is how the design is supposed to work. Aside from the whiffs mentioned above, the tackling was better. State doesn't have a good offense but they do have a good QB. We brought pressure and that made all the difference. Knoll was steady on his chip shot and I don't blame Howell for missing the long one. Howell's punts are fine. The kickoffs are a disaster. Part of it is his inability to get them deep with hang, but the other issue is the porous tackling. How can you allow one return of 50 and another of 34? We are lucky that neither changed the game. I am really surprised we haven't figure it out yet and fear what we will do when a team has real playmakers back there like FSU. Alston's long punt return was great. I am glad his first instinct is not just to fair catch it. As I mentioned in my first postgame reaction, I think Addazio passed a few test with this game. The first was bouncing back on the road following a loss. The second was dealing with the delays and coming out as the more dominant team. Now if he can get the Special Teams fixed and improve the two minute drill, we would really be on to something. We are now at the midway point of the season sitting at 4-2. The record was very predictable, but our style of play and development speaks to more than that. We should be 5-1 and look like we will be better than the six wins that many of us projected. I am very encouraged by how this season is playing out and hope that we finish the second half as strong as the first. This was the type of bounceback game we all wanted to see. BC went on the road and handled NC State. Murphy was crisp on the ground and in the air. The Oline was better. After a rough start the D stepped up. Other than some bad weather and shaky Special Teams, BC had a pretty great day. From a long-term, program building standpoint, there were two encouraging signs. First the new wrinkles the coordinators added worked. The staff used the extra time well. The second sign was how Addazio handled the long lightning delay. It is a little thing that most fans would expect from a professional staff, but we've seen poor coaches look clueless during weather delays. As deflating as the last loss was, I feel much better now. The home team rules this series...which is not good for BC. Let's hope they come out strong and shake off any post-loss hangover. However this game ends, I think it will swing the momentum of the rest of the season. Leave your thoughts and comments below. Forgot about this gem from BC's Steve Addazio, pouring some cold water on the pending Jacoby Brissett-Tyler Murphy reuinion ..
Addazio: "I really don't care that much about it to be honest with you." @BCBradBates - watching @CollegeGameDay right now, we need a home and home with Ole Miss!! Maryland's red out was a smooth ploy to wash out the number of Ohio State fans on TV. Since this is our first real road game, our Boston fans can finally host a Game Watch! For Game Watch regulars in other cities, this is just a chance to reconnect with your BC football friends after a week off. If your chapter is not listed below, post the information in the comments section. This game is a test. Not only are we playing a true road game, but we are seeing how the team and staff responded to the tough Colorado State loss. Can they recover? Will they be ready for their first hostile crowd? From a bowl eligibility standpoint, this is a must win. From an evaluation of Addazio as a program builder and team manager this is even more critical. Does he have the skills to get everyone back on the same page and win a very winnable game? I rarely go to games, so it shouldn't really matter to me, but I don't like when BC frontloads its schedule with September home games. I understand why they do it. It helps the team build confidence and win totals early in the season. Also, September is traditionally a good month weather wise, making for a better home experience. My problem with the concept is that BC pays for it on the other end with tough away stretches. I also think it hurts demand and attendance when there are multiple home games in September. A lot of our fan base cannot go every week. If the games were more spread out, we might be able to improve attendance. 1. Protection for Murphy. NC State is not great at getting to the QB. If we give Murphy time, he might be able to make some big plays from the pocket. 2. Stop them on 3rd down. CSU was 8-14 on 3rd Down. That can't happen again. 3. Force turnovers from Brissett. He's been very careful with the ball this year and has only thrown one pick. Did you know that Jacoby Brissett and Tyler Murphy were teammates at Florida? You will only hear this about 3,000 more times between now and the end of the game. Until either team breaks through and becomes a consistent winner again, I think Syracuse is our closest peer program. Their coach took over around the same time as Daz and they are still backfilling talent gaps. It will be interesting to see how they hang with Florida State. The 'Noles could crush them to the point where their season starts to fall apart. Or Syracuse could put up a good fight and raise expectations for the rest of the season. A big day from the defensive line. Their ranks are getting thinner, but they really set the tempo on D. Against USC, they changed the game. Against CSU, they couldn't close on the QB. Knoll cannot convert FGs either. Even outside of the lost of points, not having a competent kicker changes all the possessions. Suddenly you're going for it when you might have kicked. When this happened with the Matt Ryan teams, I didn't worry. With Murphy I worry about making the most of four down territory. I don't feel great about this game. The CSU loss exposed some issues and I don't know Addazio well enough to know if he can fix them. However, I still think we are a better team than NC State and can run on them. I think it is another close game, but BC holds on and gets a true road win. With all the discussion of the basketball point shaving, it is nice to turn our attention to a better BC story. Recent grad Gunnar Esiason is staying in the family business by coaching high school football. He also continues to fight his cystic fibrosis. The article is worthwhile just for Gunnar's outlook and perspective on his disease and making the most of each day. Drew Barksdale decided to announce his hamstring surgery via Instagram. 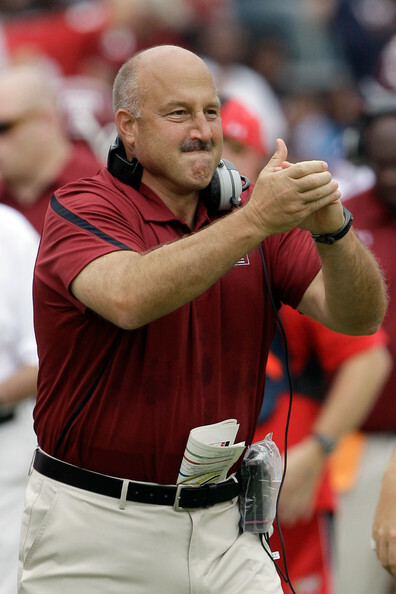 I am sure Addazio loved that. While it might not seem like it, the ACC is producing some very good defenses. Soaring to Glory posted part of their Hockey preview. In this post they predicted the most difficult games of the season. NEISA named Erika Reineke Women's Sailor of the Week. I wanted to love this movie and come out as a big Jim Sweeney fan. After watching ESPN's 30 for 30 on Playing for the Mob, I am disappointed in both. First, the actual movie. I think 30 for 30 is one of the best things ESPN has ever done. I especially think the college sports subject matters work best since they haven't been exhausted by other outlets. The U, The Best that Never Was, and Pony Excess were excellent. Even Chris Herren's movie -- that wasn't officially a 30 for 30 -- was great. This film lacked the energy and flow of those previous movies. There was nothing original. It was competent enough, but the pacing was slow. But the biggest problem with the film was the probably its selling point in getting made -- the Goodfellas' connection. Goodfellas is a masterpiece. The acting, the drama and even the humor are still fresh with each viewing. That film takes you into a world and gives you the look, the feel and even the smells of this unique time and place. If you are going to incorporate Goodfellas into your documentary and even top it off with Ray Liotta's narration, you better have something great and fresh. This isn't it. Goodfellas builds into a frenzy, especially during Hill's coke-fueled arrest. This film doesn't build. Instead it scatters all over the place. First it is a low-level mob story. Then a college jocks getting in over their heads film. Then it becomes a Henry Hill story and then it becomes a Kuhn-Sweeney story. It is certainly not a BC story and it is not really a college basketball story. The film wraps up with Sweeney's anger and frustration with his part in the scheme, his association with the scandal and his relationship with BC. He's adamant that he didn't shave games and that he was just in over his head. College kids do dumb things. We all make mistakes that can follow us long after. I don't know what Sweeney did or didn't do. The film gives him his time to clear his name but like the juror in the film, I still feel like Sweeney knew and did more than he admitted. Of other folks BC figures featured, Bowie comes off well and didn't get a fair shake. McDonald represents BC well but also helped expose how sloppy and disorganized the whole fix was. Cobb seems to have a healthier perspective than Sweeney. I don't understand why Tom Davis still can't talk about it. The film does confirm that this was always a sexier story than an actual conspiracy. No one made real money. They couldn't shave games properly. It was only uncovered because of Hill's big mouth. I don't think BC ever did anything wrong. This could have happened anywhere...even BU like Hill initially remembered. The school suffered a media black eye and was amplified years later with the Football gambling scandal. Maybe this film will finally put it all to bed. I understand why the school doesn't want to deal with Jim Sweeney. Why should they? What does BC owe Sweeney? Who is entitled to closure in life for anything? Let alone when you are potentially culpable in a crime. Sweeney brought out his Eagle of the Year award for the film. Even if he didn't commit a crime, did he really live up to the ideals of the award? I don't expect BC to change its position on any of the guys involved and I don't think they should. The earlier reviews of Playing for the Mob are coming in and all seem very positive. I will have a post and discussion after the film air Tuesday night. For those too young to know what happened, I highly recommend reading the Sports Illustrated article from 1981. The ACC announced the Clemson game will kick-off at 3:30. ESPN U will carry the game. Addazio will give Mike Knoll a shot as the place kicker. Let's hope he can convert some field goals. He also said Vardaro is healthy and ready while Abdesmad is out for the season. What's causing the coverage breakdowns? If BC makes one stop, we win the CSU game. As we know, that didn't happen, primarily because BC had another coverage breakdown at a critical time. In this case it was 4th and 10. Unfortunately that breakdown wasn't an anomaly. While this becomes a bit of one blogger echoing another, BCI's Dan Rubin saw the same thing in his game review. While pressure and aggressiveness have been hallmarks of Don Brown's BC scheme, so have those blown assignments. Why is this still happening? Statistically the defense is improved from last year, but these breakdowns are still killers. If BC just fixed them, they would be that much better defensively (and probably 4-1). Usually when there are issues with one particular unit, I blame this position coach. However, BC has a little history with Defensive Backs coach Kevin Lempa. This is his third go-around at BC and while he's never been the best recruiter or Mr. Personality, Lempa has always been a solid teacher. When Lempa coached under TOB, his DBs were not always the most athletic or speedy, but they were well positioned and knew their assignments. I don't think it is a Lempa-Brown issue either. Lempa worked under Brown at Maryland. At this point he should know what Brown wants and what works. The players certainly deserve some blame, but not all of it. We've lost DBs to injuries, transfers and attrition yet there are still blown assignments. This is not about talent. If anything our DBs are more talented than they were last year...or at least more talented than they were in the final Spaz years. The front seven is a factor too. Many of our defensive issues are related to lack of pressure up front. Think back to the last CSU play. That is essentially a broken play. If the three downlinemen get to the QB -- and not just force him out of the pocket -- there is no pass to the endzone. Every missed sack or failure to get to a QB, gives him a few more seconds. Each additional second puts that much more on the shoulders of the DBs. Those extra assignments are when guys get free and coverage is blown. So the short answer to what's causing the breakdowns is everything. Ultimately this is Don Brown's Defense. If he cannot get the pressure upfront or his players cannot learn their assignments or don't have the talent to stay with their receivers, than he has to alter his gameplans. It is the same sort of adjustment that Day had and has to make when his passing game cannot execute. Brown was the known of the two coordinators when he arrived at BC. He's taught and coached this scheme for years. Now we need him to figure out these breakdowns so that BC can hold on during the next 4th and 10 with the game on the line. The Men's Soccer team got the weekend off to a good start by upsetting Notre Dame Friday night. The Irish were ranked No. 1. 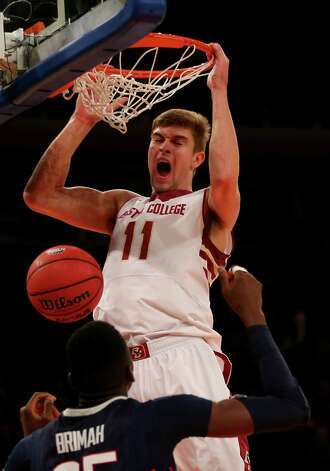 The Heights went deep on Boston's College Athlete Bill. Bates weighed in too. Bates -- as usual -- was careful with his words, but the impression the article gives is that he thinks it is all a mistake. It sounds like bad law that doesn't cover the complexity or the specifics of college athletics. I still feel like this is political grandstanding by local politicians. This was from earlier in the week, but Deadspin charted college teams' recruiting success vs. their recruiting success. It just happened to focus on the Spaz's years and as we know, both areas suffered from neglect under our old coach. Believe it or not though, even with Spaz's poor recruiting, he underperformed with those players. Head coach Steve Addazio announced junior Bryce Jones is no longer a member of the team due to an undisclosed violation of team rules. BC announced (on a Friday without a Saturday game) that Addazio dismissed Bryce Jones for the catch-all term "violation of team rules." Jones is still a BC student, so that limits some of the things that might have gotten him in trouble. Eventually an explanation will leak out. From a football standpoint, I am not concerned. Like many of our DBs, Jones was wildly inconsistent. (I will have post about our Defensive issues this weekend.) We have enough raw depth in the defensive backfield that we should be able to cover his absence. I have no idea what Jones did or what he plans to do with the rest of his BC career and his remaining eligibility. I wish him the best of luck and hopefully he gets his act together. One of the reasons Addazio's hiring disappointed was that he was coming off a losing season at Temple. Tell me if this reminds you of anything? In his first year the new coach overachieved and won over the fan base with his enthusiasm. In Year 2 expectations were lower due to losing a leading rusher, but the coach still had them sitting at 3-2 after five games. Following the 3-2 start the team fell apart and lost four straight and were rarely competitive in the losses. I didn't follow Temple in 2012. Beyond the stats I don't know why things fell apart midseason. But I hope Addazio learned something. BC cannot afford four-straight losses right now and despite the exposed weaknesses, BC can still beat any or all of their next four opponents. Addazio had talent and roster issues in 2012 and was trying to compete in a major conference while fielding a MAC-level roster. BC doesn't have that same excuse. I hope Addazio understands the other factors in his slide as BC needs to rebound now. At NC State, Clemson at Alumni, at VT and at Wake should not lopsided. BC will probably be favored at Wake and gets Clemson at home. BC needs to get two wins out of this block. It will get us closer to a bowl and will show that Addazio is a guy who can adapt and not just win with some other guy's players. As we near the premiere of ESPN's 30 for 30 on the BC Basketball scandal, some of the participants are doing press. Former BC point guard Jim Sweeney has never talked about the scandal, but is now sharing his side. College kids do dumb things, but it will be interesting to see how these guys feel about it now. I obviously cannot wait for the film. If we want to get a glimpse of what Addazio's future offense might look like when he gets his players, Mississippi State might be the best example. Daz took over Dan Mullen's scheme at Florida when Mullen became a head coach. BC currently uses more power running than MSU and fewer zone runs, but Mullen is showing that a run heavy spread can work in the Power 5 conferences. The ACC named BC runner Liv Westphal their performer of the week.